One of modern possible problem solutions of analysis and synthesis in electromechanical systems is the recourse to a genetic algorithm as a method of artificial intelligence. The originality of the proposed approach lies in the usage of fractional order models to solve the above-mentioned problem. The quality function is proposed to be used in the developed algorithms for analysis and synthesis procedures of electromechanical systems. It is also proposed to get the desired outcome of results deviation from the set values by means of quality function control after each iteration. 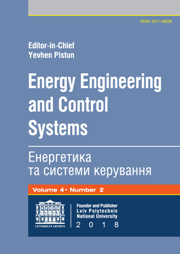 Application of genetic algorithm method with the usage of fractional order reference models is an effective means of electromechanical systems transition processes approximation by fractional models as well as the selection of parameters of fractional controllers during their synthesis. Fortuna, L., Graziani, S., Muscato, G., Nunnari, G., and Porto, D. Approximation of high-order lumped systems by using non-integer order transfer functions. Proceedings of the 7th Mediterranean Conference on Control and Automation (MED99), June 28–30, 1999, Haifa, Israel, 1999, pp. 2222–2230.